We had the privilege of a sit down with Dr. Paul Craig Roberts, one of the leading political economists in the USA, awarded by the Treasury Department’s for “his outstanding contributions to the formulation of United States economic policy.” He is also the chairman of the Institute for Political Economy, a former Wall Street editor and an author of many books. Dr. Roberts is a regular contributor to The Herland Report TV. The programs with Dr. Roberts may be viewed here: Program 1: Neo-Con Totalitarianism, program 2: Totalitarianism in the West, program 3: The Washington Tyranny, program 4: The Hatred of the White, Hetero Male. Program 5: Financial Crisis Looming. Program 6: The truth about Trump and the media. Exclusive shorts: The role of Putin, also watch Trump and the Deep State and White, hetero males are defenseless as well as Shutdown of Free Speech. Hanne Nabintu Herland, founder of The Herland Report: – You have said that the identity politics in America has destroyed the nation and created a nation where everything is deteriorating into “hate speech”, one group against the other. What do you mean by that? Dr. Paul Craig Roberts: – The whole notion of class conflict has been replaced by gender conflict, race conflict, sexual preference conflict. We now have a situation in which you have new forms of diversity, such as homosexuals, straight, gender differences, racial differences and these have taken the place of the class difference. The whole thing has been turned around. The new victim group being white heterosexual males are defenseless and not protected by any quotas, prohibitions against hate speech or hate crimes. You can say anything about a white heterosexual male, which is peculiar if they are the dominant group. But you can’t say the slightest thing about blacks, or homosexuals or women. This has the population in each other’s throats. It used to be the capitalist worker. Now it is everybody against everybody. This is not a framework for a peaceful society. Its not a framework for a society that can come together and deal with problems as a collective society. 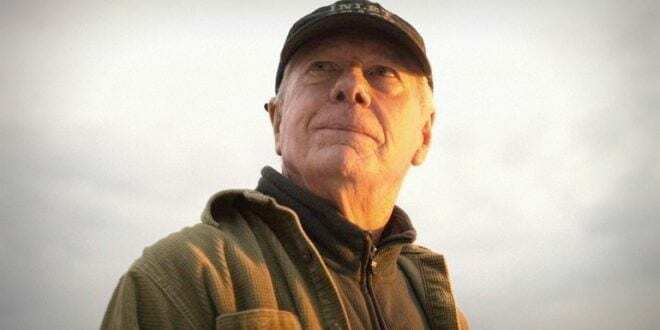 Dr. Paul Craig Roberts: – The subversion of fact-based science and scholarship by the emotion-based ideology of Identity Politics is laying the groundwork for the genocide of white people. This sounds like an outlandish statement. However, it follows logically from the identification of white people with violence, oppression and every evil in the world. It is not a society that can exercise constraint over its government because it is split and not united. Therefore, it’s very easy for the very powerful interest groups to dominate. It becomes almost impossible to constraint the powers of government. For example, in the 21th century, which is still a new century, the Bill of Rights has been stripped out of the Constitution. The George W. Bush administration declared that the president, on his own authority, had the right to arrest and detain American citizens indefinitely without a warrant, without presentation of evidence to a court. In other words, the president said he had the powers of a medieval baron, to pick up somebody and throw them in a dungeon and keep them there. Then we had, with the Obama administration, the president declaring he had the power to kill American citizens without due process of law, and exercised this power on some Islamic American citizens who he said were supporting terrorism. He murdered them with missiles shot from the US. Dr. Paul Craig Roberts: – This is a claim that citizens can be executed without the process of law, based on suspicion alone. There needs to be no court, no conviction, no presentation of evidence, no inditement: Just execution. This is totally prohibited by the American Constitution. We also now have the massive development of mass surveillance, mass spying, mass interception of personal communications without warrants. This is also strictly unconstitutional. We actually have laws and in fact, just recently Congress renewed the law and president Trump signed it. It said that the national security administration can spy on whoever it wants without any warrant, without going to a court and presenting evidence for why this needs to be done. So, we have massive surveillance. Not just on Americans, but on the whole world! You may remember the issue of the NSA intercepting the Chancellor of Germany’s personal cell phone calls. Those are three big examples of how civil liberty, which is the basis of the US, has been destroyed in the 21th century, all based on “protecting us against terrorism”. But of course, if there are no constraints on the government, you are not protected. The government, with that kind of power is a much greater threat to people than terrorists. This shows an extraordinary collapse because when the difference where class, there was an atmosphere for reforms. When you no longer have the class distinctions, what reforms do you bring in in an age of identity politics? Where every group has its own separate interest. There is no basis of any kind of reform. How do you reform? The way identity politics says you should reform it is to get rid of white people. There was recently an article published in a Texas University student newspaper that says that white DNA is an abomination. In this type of attitude there is no basis of goodwill, some sort of compromise or common ground. The old class distinctions contained, unless you were a Marxist, grounds of goodwill and compromise. They had reforms that people didn’t have to literally fight for. The ruling class would say that they agreed to this, and there was a basis for goodwill. In identity politics, there are no basis of goodwill. Hanne Nabintu Herland, founder of The Herland Report: – It is such a paradox because in Europe and in the whole world, we used to look up to America as a melting pot based on national identity regardless of creed and race. The ability for people from India, Pakistan, Ireland, Norway and other countries to travel to the great America and make it there, regardless of the class distinctions of “the old world”. We were able to make it here, even though we were poor in our countries of origin. The paradox is to watch how America is falling for precisely the same trap of using ethnicity as a determinator of what is good and what is bad. Dr. Paul Craig Roberts: – Yes, it is. Even more of a paradox because it is the ruling ethnicity that is on the defensive. It is under attack. This is not a hopeful situation.